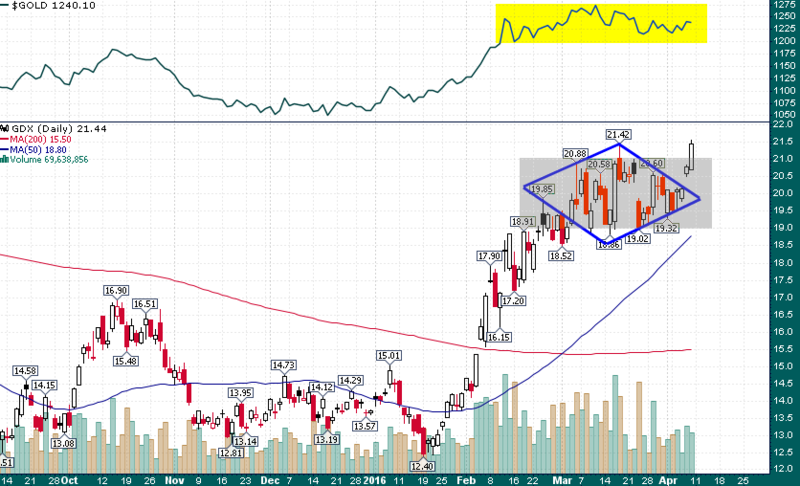 Gold Miners Break-Out Impressively | Energy and Gold Ltd.
Breakout above $21 targets measured move to $23. While the breakout is impressive in and of itself in terms of price action and volume, perhaps the most impressive aspect of the GDX breakout is the fact that gold hasn’t really gone anywhere in the last eight weeks. The gold miners are finally doing what they failed to do during so much of the bull market years of the last decade and that is to generate operating leverage and in turn performance alpha for shareholders. No matter how you slice it the gold miners are acting the way that a young bull market acts; many individual stocks are breaking out aggressively from mature bottoming patterns, low volume consolidations followed by higher volume rallies, and most importantly the dips are quickly finding buyers.